This week I’d like to do a similar post to last week’s. I’d like to highlight another of my favorite airplanes. This week I have chosen to write about my dad’s Super Cub! My dad wrote an article about it already… but I’d like to share my personal experience with this amazing machine as I have started to fly it a bit. My dad bought this airplane several years ago after it had crashed due to a building error. The fuel lines had been mixed up and it had run out of fuel and went down shortly after takeoff. My dad did the repairs and returned it to all its glory. Ever since, it has been the go-to weekend toy! I think when he first got the plane I didn’t know how awesome it was. 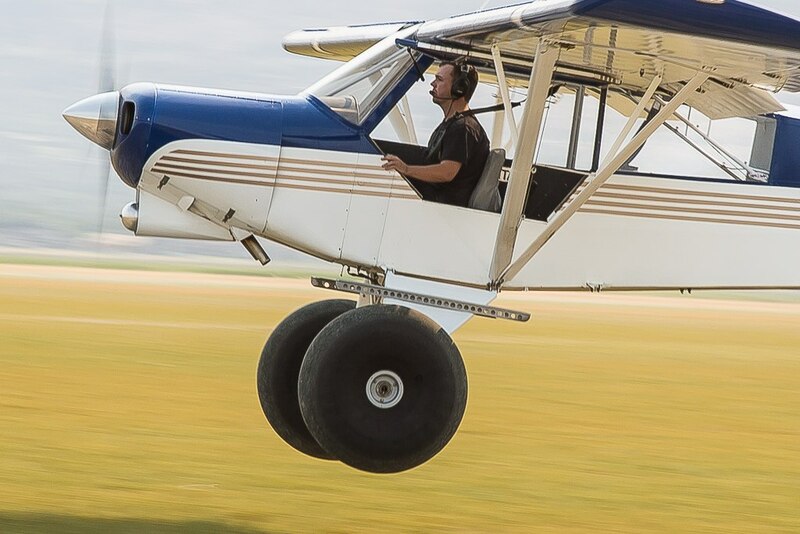 I was confused at how it could be so slow and still be considered a cool airplane… (Obviously I didn’t know much…) But once my dad put the big Alaskan Bushwheel tires on, I began to understand. This is the ultimate backcountry aircraft. It can take off and land in ridiculously short distances giving access to some of the coolest places you can access and the huge tires allow it to operate on extremely rugged terrain. I feel extremely lucky to have had the opportunity to grow up around a Super Cub. As I talk to more and more pilots, I realize that flying a Super Cub is something everyone hopes to experience sometime in their life. Recently, I have begun flying it as much as my dad will let me. The tandem configuration makes taking the controls feel awesome. The big tires make seeing over the nose a little difficult but makes the airplane sit tall and feel beefy. The powerful engine provides serious strength and really gets you off the ground. I love everything about this airplane! It flies nicely and provides a liberating feeling that is hard to describe. The best way I can think of to describe it is that it makes me feel like a man! There are so many qualities this airplane has that make it a truly amazing machine. Every time I fly it, I fall more and more in love. My dad always talks about how this airplane represents the dream. When you look at this airplane, you start to see yourself sitting around a campfire as the sun goes down. 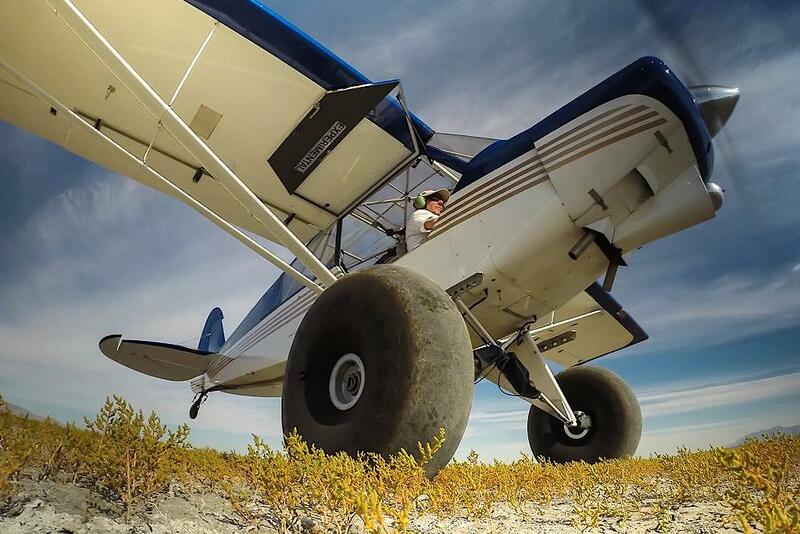 The Super Cub sits majestically with your fly rod leaning up against the massive tires. The enjoyment this airplane brings is hard to describe… I have a hard time thinking of how to do it justice. Hopefully the pictures I provided help, but the true love for this airplane comes from flying it. I hope to keep flying it as much as I can (as much as my dad will let me….) and you will definitely hear more about it in future posts! Check out the cool Super Cub model we have in the pilot shop.